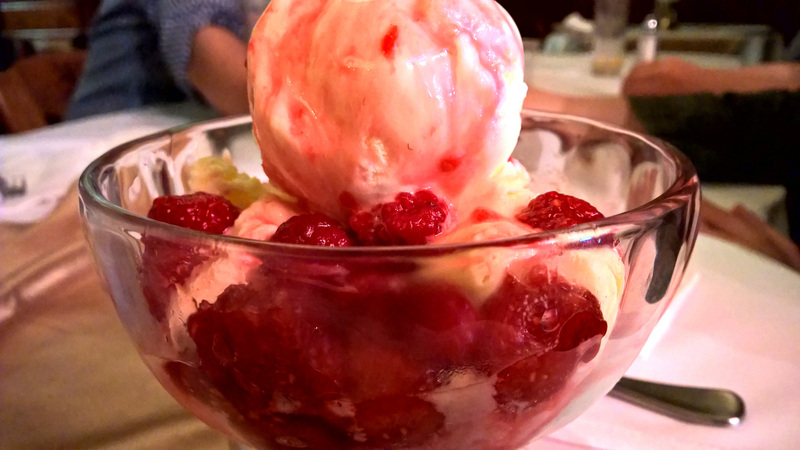 Black Forrest Restaurant – The Austrian Society. Cabramatta for a long, long time has been known as the little Asia of Sydney and the go-to place for some of the best Vietnamese and Chinese cuisine in Sydney. 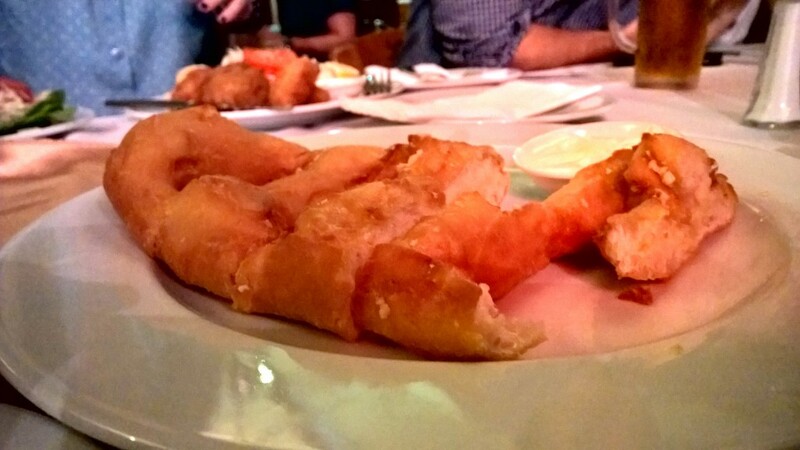 However, it hasn’t really been a place to be associated with European cuisine. Just 2-5 minutes drive away from the main shopping district is a place called the German/Australian Society/Club. As a kid I was always intrigued by this place as we passed on by for a trip to Yum-Cha with a bunch of relatives. Even as an adult, I never thought about venturing in. The name and location o the place gave it a sense of exclusivity. After a failed booking at the Bavarian in Parramatta for a large group, we decided to take the gamble and try this place . There was an air of uncertainty. The poorly done website didn’t do much to convey anything positive about the place, so to be honest – I wasn’t expecting much at all. How wrong was I/we. Some garlic bread to start. 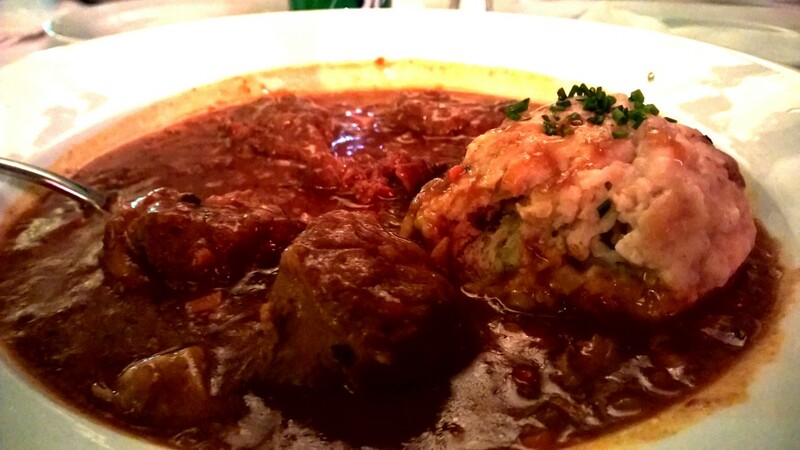 The Beef Goulash comes in a main meal and entree size. Perfect. 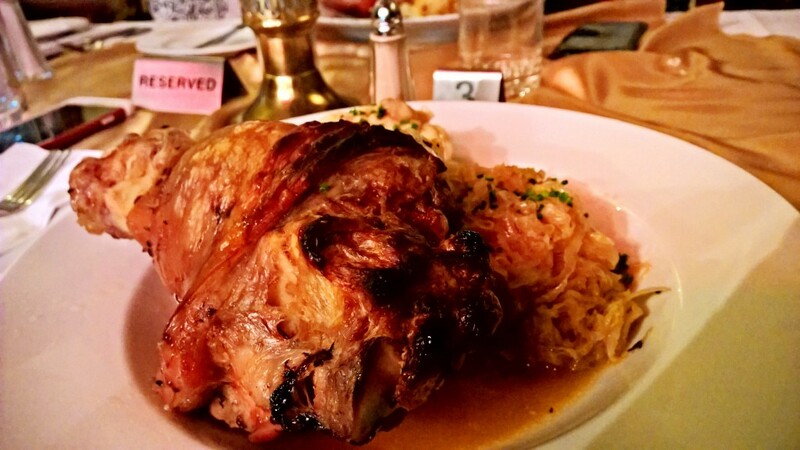 The Pork Knuckle is impressively large. I’m not sure that this photo really shows the scale very well. The sauerkraut is just as good. Nice and warm and a hint of sourness. Nothing like the crappy store bought-jarred- stuff.. 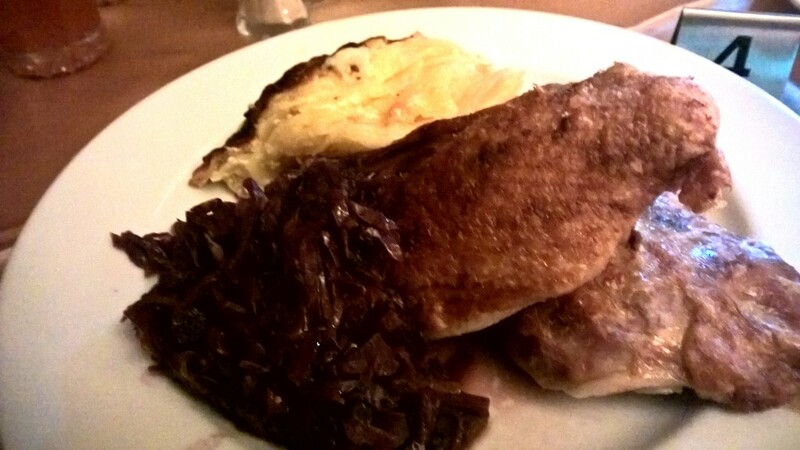 Duck with Rotkraut/Red Cabbage. A little on the dry side but big portions once again. 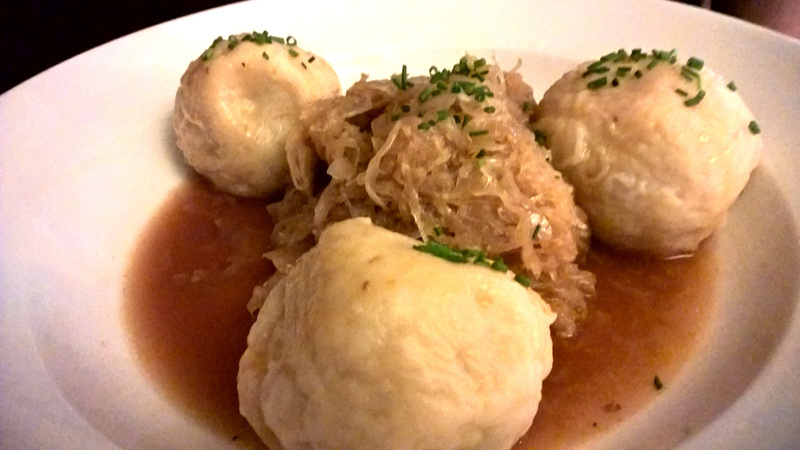 Potato Dumplings stuffed with meat served with dumplings. We decided to get the “Hot Love” out of the whim. The menu board had no description of what was in it – just the name of it. It was a tasty Strawberry Sundae but with something named “Hot Love” I was expecting something much more chocolately and decadent. The Apple Strudel was delicious. 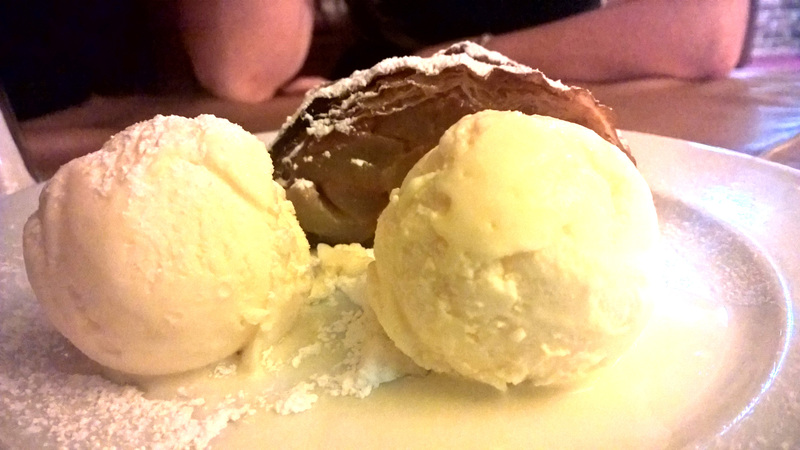 The pastry was crispy and the filling had just the right amount of sweetness to it. 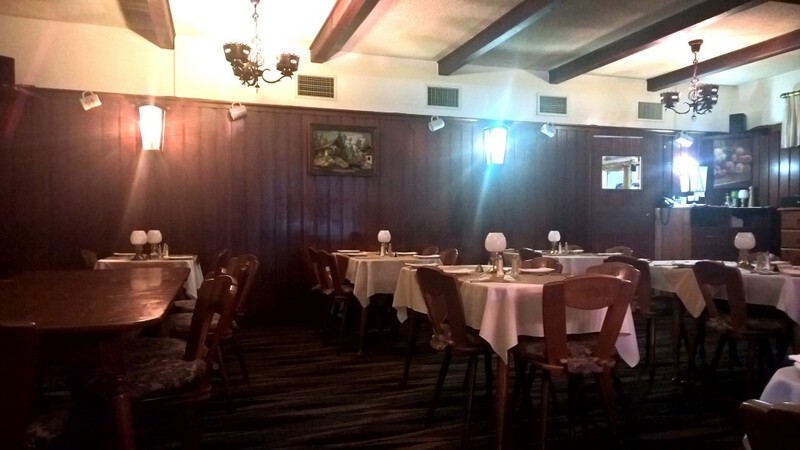 Overall, I really enjoyed the food and the general atmosphere. Well cooked food and good value for money. However, I do believe some of the waitstaff are a little rusty with their waiting skills/ seem a little hesitant about approaching customers. Simple things such as asking if a customer has enjoyed their meal, and if they would like additional drinks can go a long way in ensuring customer satisfaction.